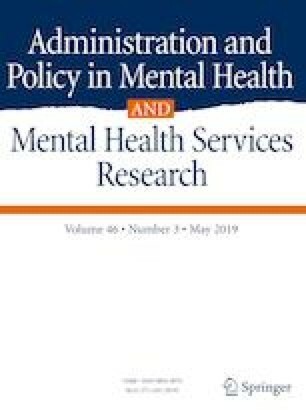 This qualitative study explored peer specialists’ contributions to a healthy lifestyle intervention for obese/overweight individuals with serious mental illness (SMI) living in supportive housing. Intervention participants, peer specialists, and supervisors were interviewed and a grounded model emerged from the data identifying essential interpersonal attributes of the peer specialist-participant relationship. Peer specialists’ disclosure of their own experiences making health behaviors changes was critical for building participants’ motivation and ability to try lifestyle changes. Findings can inform peer specialist training and practice standards and facilitate the expansion of peer-delivered interventions to improve the physical health of people with SMI. We thank Adriana Bastardas-Albero for her assistance with data management and express our gratitude to the intervention participants, supervisors, and peer specialists who participated in this project. This study was funded by the National Institute of Mental Health (Grant No. R01MH104574). SAMHSA-HRSA Center for Integrated Health Solutions. (2016). Peer Providers. Retrieved from http://www.integration.samhsa.gov/workforce/team-members/peer-providers.